We offer a tasteful selection of nautically-themed key chains that are perfect for customizing your keys, not to mention adding a little nautical style to those items that you most likely use on a daily basis. Many of our adorable nautical key chains are constructed from polished brass and are, of course, nautically themed, because if they were not, they would not be nautical key chains. They come in a wide variety of shapes, ranging from traditional ship wheels, compasses, and anchors to key chains as esoteric as theodolites and engine telegraphs. Each of our nautical key chains is a novel little item that is perfect for decorating your keys. This nautical-themed key chain is both adorable and functional, featuring a burning anchor lantern key fob. Crafted from solid brass, the Anchor Lantern Keychain is as beautiful as it is durable and functional. 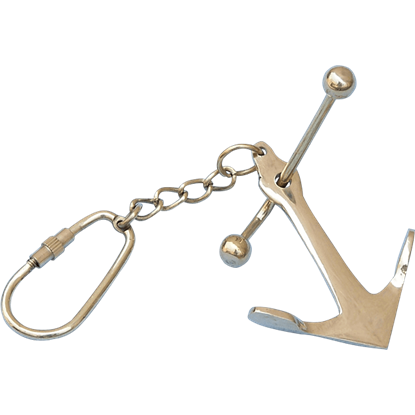 The Anchor with Rod Keychain is a nautical-themed item that happens to be both adorable and functional, featuring an anchor key fob modeled after the iconic Admiralty pattern anchor design. It makes for a great collectible. 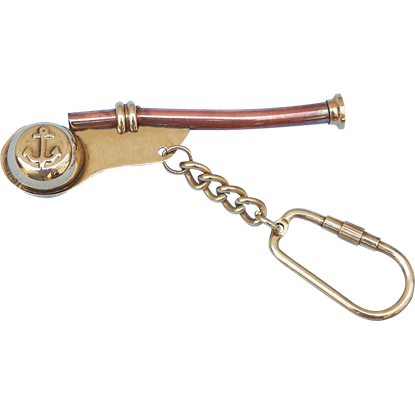 The Bosun Whistle Keychain, also known as a boatswain whistle, is a nautical-themed item that happens to be both adorable and functional, featuring a bosun whistle key fob. It makes for a great collectible or nautical accessory. 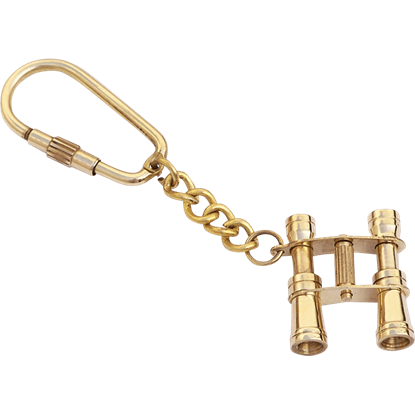 The Brass Binocular Keychain is a nautical-themed item that is both adorable and functional, featuring brass binoculars as a key fob. Binoculars were crafted shortly after the invention of the earliest telescopes. 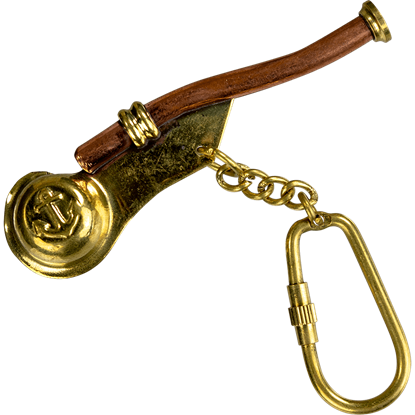 Based on the whistles used to call out commands to the crew when voices could not be heard over the sounds of the sea, the Brass Boatswain Whistle Keychain is a marvelous way to bring historical nautical style into everyday life. 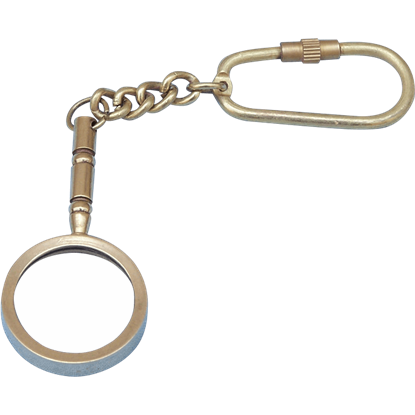 The Brass Handle Magnifier Keychain is a nautical-themed item that happens to be both adorable and functional, featuring a brass-handle magnifier key fob that works great for reading or close examinations in a pinch. 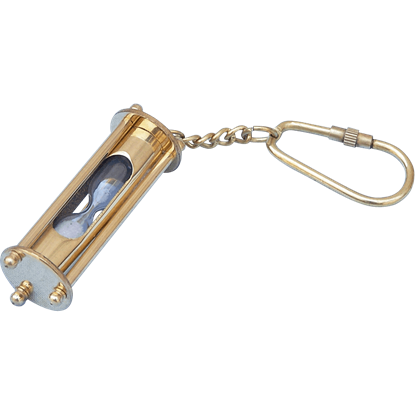 The Brass Hourglass Keychain is a nautical-themed item that happens to be both adorable and functional, featuring a brass hourglass key fob for timing short periods. This sand timer acts as a decoration for your keys. 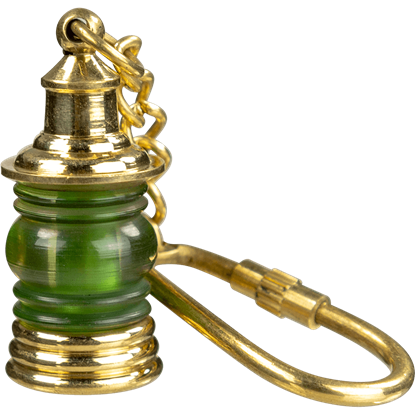 Keep your keys from being lost in darkness when you add them to the Brass Lantern Keychain in Green. This handcrafted brass keychain is shaped like a miniature lantern. Its center glass is green for a unique touch of color. 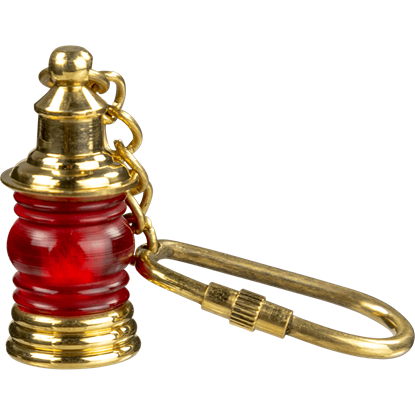 The Brass Lantern Keychain in Red calls to mind voyages across dark waters and through distant lands. Bring a historical travelers vibe to your everyday journeying with this carefully handcrafted, nautical-themed brass keyring. 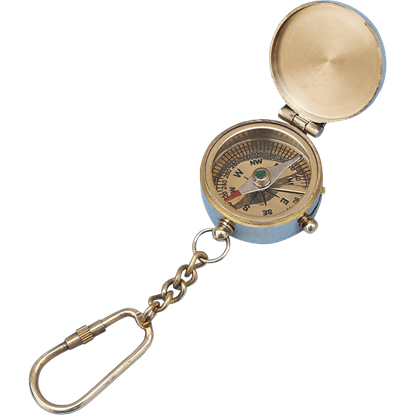 The Brass Lidded Compass Keychain is a nautical-themed item that happens to be both adorable and functional, featuring a brass compass key fob with a lid that opens to reveal the directional arrows and degree markings. 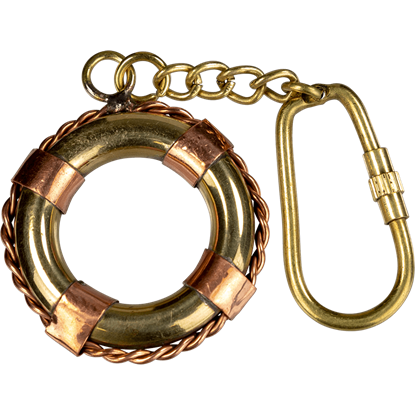 Imagine seafaring excursions and daring rescues when you keep your keys sorted with the Brass Life Preserver Keychain. 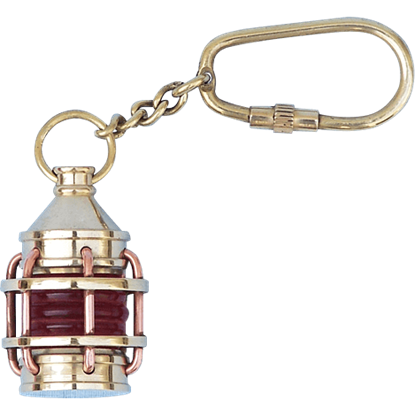 This handcrafted brass keyring is the shape of traditional, round, nautical life saver made in miniature. 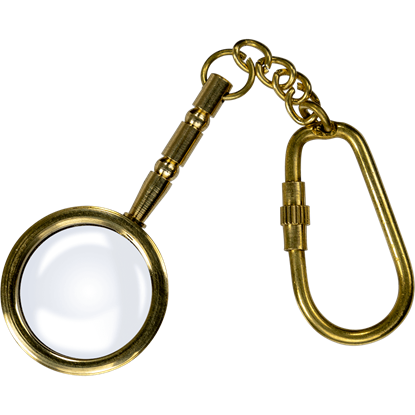 The Brass Magnifying Glass Keychain is a handcrafted accessory made with historical style in mind. This brass keyring has a functioning, miniature magnifying glass as its accent, perfect for helping read little text in a pinch.